There are so few directors in Hollywood who are as ambitious as Christopher Nolan. And make no mistake, 'Insterstellar' is an ambitious film. It's also a beautifully flawed film and a pale shade of the film it's attempting to emulate, '2001: A Space Odyssey." The film begins sometime in the mid or late 21st century, perhaps 50 or 100 years from now. 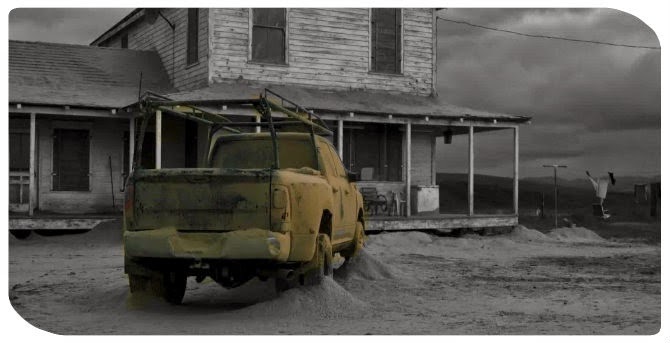 The world of 'Interstellar' is set in what looks like the American dust bowl of the 1930's. (I read somewhere that Nolan used actual footage from the Ken Burns documentary, 'The Dust Bowl.') 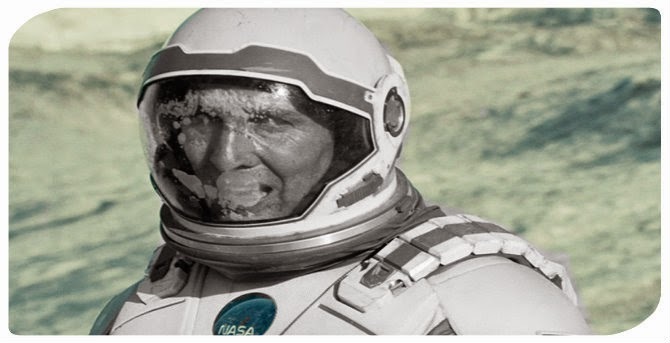 'Interstellar's world is in climate collapse and the earth's soil can no longer support it's population. Cooper (Matthew McConaughey) is a widowed farmer with two young children and an aging father-in-law Donald (John Lithgow). He's also an accomplished pilot and an engineer. MANKIND WAS BORN ON EARTH. It was never meant to die here. We learn more about Cooper's dying world through a parent/teacher conference between Cooper and the school principal (David Oyelowo). 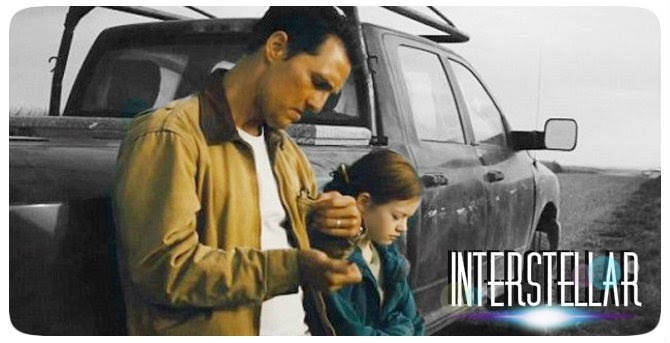 This is another thing I liked about 'Interstellar,' accomplished film stars were cast in even the smallest roles. Film stars like Oyelowo (Rise of the Planet of the Apes and Red Tails) are just one of the cameos. The largest cameo comes much later in the film. Back to the parent/teacher conference--Cooper's daughter Murphy (Mackenzie Foy) is considered a disruptive influence because she brings an old textbook to school that acknowledges the moon landing.All of the modern textbooks have been changed to reflect the world's "new" history. The revised history books claim the moon landing was a hoax to bankrupt the Soviet Union. NASA itself has been decommissioned, which may as well be the case nowadays. Seriously, what has NASA done lately? At least the ESA (European Space Agency) tried to land an unmanned spacecraft on a comet. That's incredible. NASA is living off 50 year old glory. But I digress, so the entire educational system has been reorganized so that dreamers refocus their attention on this world, not traveling to the stars. About our place in the dirt. It's for this reason that Cooper's teenage son, Tom (Timothee Chalamet) is denied access to college and told that he needs to be a farmer like his father. Things are so desperate and farmers are in so much in need, that there aren't even MRI machines anymore. That's how Cooper's wife died. She had a cyst in her brain that went undetected. To cheer everyone up Cooper takes his family to a baseball game. It's here that we learn that the film is not set in the dust bowl of America, but in rural New York or perhaps New York proper. The Yankee's baseball team is now akin to a local high school with small bleachers. It's at the baseball game that we see a horrible dust storm overtake everyone. Back at the house, the "ghost" of the house is making noise and throwing dust around in strange ways. Despite what her teachers think, Murphy is an exceptionally bright girl, but she is convinced that the ghost is trying to communicate with her. She starts to take notes of how many books the ghost knocks off the shelf, which her father discovers is a binary code. That's not the only weird thing happening at the farm. Geocaching farm equipment and a agricultural drone, all hone in on the farm, as if driven there by some unseen force. It's this unseen force that reveals a set of coordinates that Cooper and Murphy follow. Nothing in our solar system can help us. 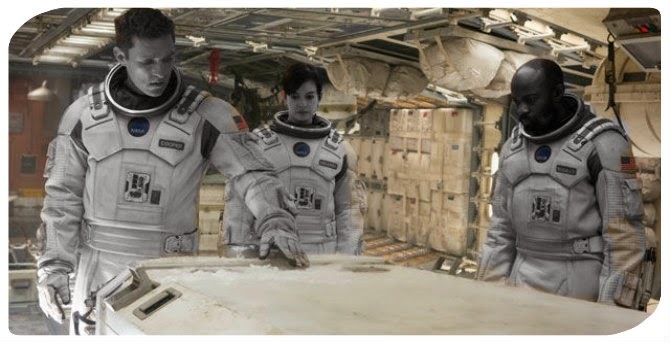 They find a secret NASA base run by a skeleton crew that includes Anne Hathaway (Dr. Amelia Brand), Wes Bentley (Doyle), David Gyasi (Romilly), William Devane (Williams), Michael Cain (Professor Brand and Dr. Brand's father), and a sassy emotive robot named Tars (voiced by Bill Irwin). 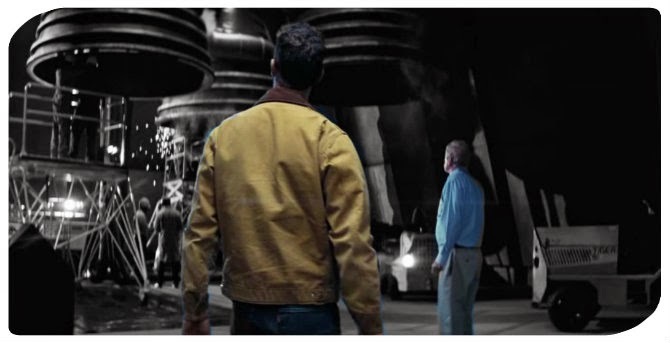 Professor Brand explains to Cooper that humanity's only hope is interstellar travel, which Cooper, as well as the audience, knows is impossible. To leave for a while now. Traveling within our own galaxy is hard enough. It would take 180 years just to get to our own sun, whereas the sun's light reaches earth in eight minutes. Proxima Centuri is the closest star system outside of our galaxy. It's also a red drawf with about 500 times less brightness than our own sun. It would take 167,000 years to get there. This is why interstellar travel is essentially impossible. Organic beings simply do not have lifespans long enough to make the trip and traveling at light speed is equally impossible. MURPH, I LOVE YOU, FOREVER. "Theoretical physics" ENTER STAGE 1. Traveling at light speed may be impossible, but travelling vast distances through wormholes isn't. Although the most likely scenario would be that the spacecraft would be completely ripped apart, but this is fiction, not a documentary, and to be fair, an actual physicist (Kip Thorn) did come up with the concept for this film. And Nolan's brother and co-writer, Jonathan Nolan studied for several years at California Institute of Technology just to get the science right. 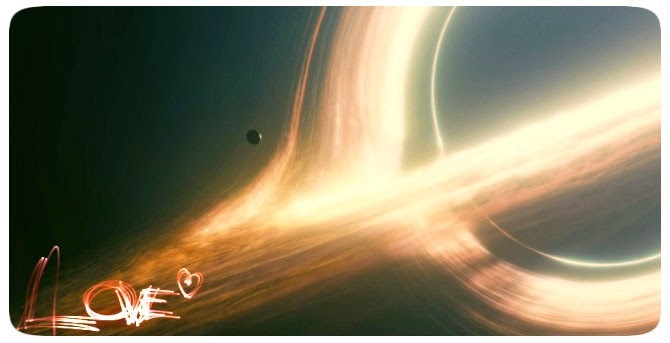 So clearly these guys know their stuff, so the sciency bits of 'Interstellar' are actually quite intriguing. The problems emerge when the film departs from science and jumps into boiler plate scifi-movie-stuff, like time traveling through black holes. I mean, come on? If a human being or anything a human being made were to get anywhere near a black hole they would be flattened into pancake batter. goodbye to our solar system? 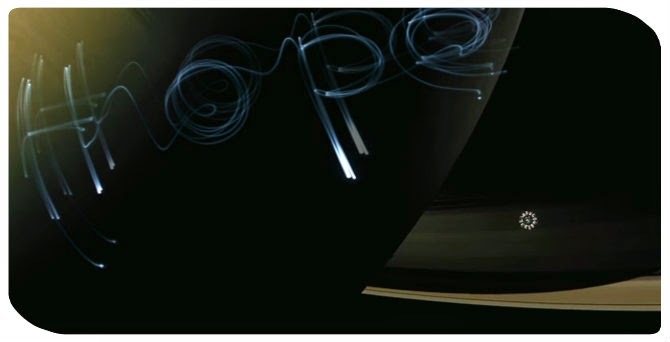 So the NASA scientists tell Cooper about a wormhole that simply "appeared" near Saturn 48 years ago. Dr. Brand believes an alien intelligence put it there and may have also guided Cooper and Murphy to NASA's secret lair. Professor Brand predicts that earth will succumb to starvation and suffocation, as all of earth's crops are falling to blight (a disease that typically just strikes tomatoes and potatoes). The last Okra crop has just been destroyed by blight and humanity's last remaining crop, corn, will soon be next. As blight grows best in a nitrogen-rich environment, earth is slowly being strangled of oxygen. Again, this seems a little shaky on the sciency end. I'm not saying that earth is not likely to face an ecological disaster--that is totally possible and unfortunately likely. I'm saying that they could have come up with something more fearsome than blight. Any atmospheric scientist could tell you that blight would not likely be able to suffocate the earth. If you wanted to invent an environmental disaster, take your pick, but blight wouldn't be one of them. 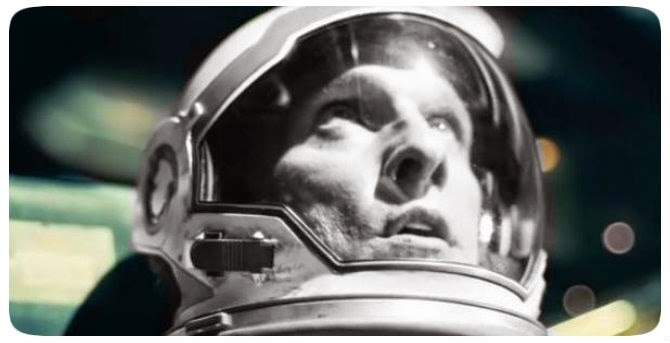 Cooper has long felt unappreciated as a farmer and former NASA test pilot, so he jumps at the chance to get back in the cockpit and pilot Endurance, which is the fourth interstellar spacecraft to go through the wormhole. Unfortunately Cooper's decision devastates Murphy. She never really forgives him even years later. Cooper is joined by Dr. Brand, Doyle, Romilly, and two robots that look like small versions of the monoliths from '2001.' It's an interesting take on artificial intelligence. 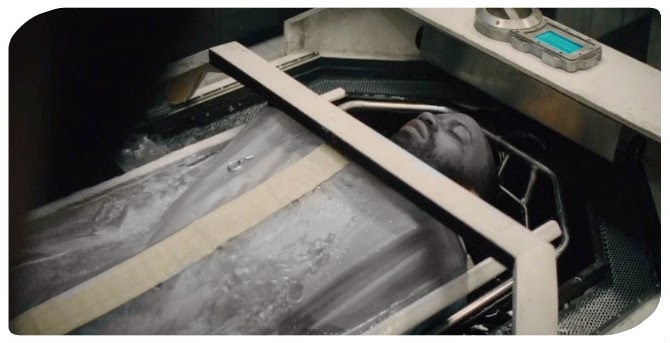 The crew are placed into hypothermic sleep chambers, which is a nice touch. From what I've read online, the sleep chambers are hypothetically possible. Such a sleep chamber would put them into a hibernation-like sleep, called "torpor." It would lower their body temperatures to 90 F (32 C), which reduces their metabolism, caloric intake, and slows muscle atrophy. Then it's wormhole time. What I've described above are the best parts of the film. It's at this point that the film starts to lose it's cohesiveness, which is somewhat surprising. You would think the best part of the film would be when they actually land on an unknown world, but it's not. It's certainly dramatic, but problematic. The first planet they land on is water world near a black hole. Now I'm not a physicist, but if a planet is near a black hole named Gargantuan, that can't be a good thing. Not only does the planet have crazy tidal issues (like 500 feet/152 meter tides), but there's some crazy time dilation stuff happening here. Please don't ask me to explain it, but it has something to do with the theory of relativity. The gravitational pull of the black hole causes a time dilation for anyone landing on the planet. One hour on this planet is equivalent to seven years on earth on earth. 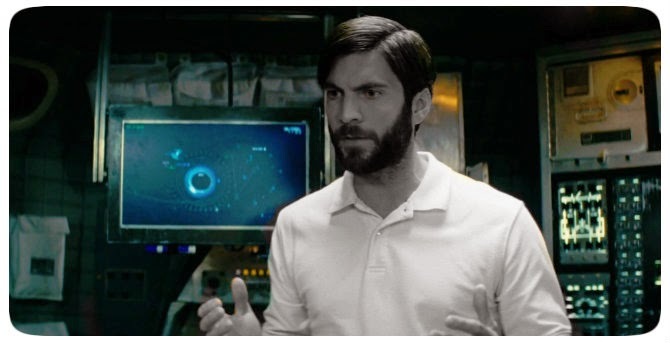 It's here that the lovely Wes Bentley (Doyle) predictably becomes a red shirt and not even in an interesting way. Needless to say things go wrong, so when Dr. Brand and Cooper return to their space craft, 23 years have passed and poor Romilly is still faithfully waiting, somehow not insane. You have to think bigger than that. The most interesting thing to happen in this part of the film is the introduction of Matt Damon as Dr. Mann. Dr. Mann was a revered NASA scientist who piloted one of the first shuttle missions. He landed on a desolate ice planet, somehow lost his crew, and went a little cray cray. He knowingly transmitted false information about the ice planet to lure the other astronauts in. Mann knew that if he transmitted the correct data, that the planet could not support life, that there would never be hope of rescue. IMO, the other astronauts should have known from the moment they touched down that the planet couldn't support life, but whatever. Dr. Mann tries to kill Cooper, succeeds in killing Romilly, and then manages to accidentally kill himself when he tries to unsuccessfully dock with Endurance. that transcends space and time. the ability to overcome the impossible. When Professor Brand dies, Murphy realizes that that Professor Brand knew that there was no hope of solving the equation, and that plan B (which was was to transport fertilized embryos to a viable planet), was the true plan all along. I'm still a little unclear about this. If plan B was the plan all along, you would think that mission control would have sent a few more of us women folk, since I assume women will still be the ones to birth 'dem babies. So either Anne Hathaway was going to be a very busy girl, or that was another thing not explained properly. Endurance doesn't have enough juice to make it to the third planet and go back to earth so Cooper has to give up on ever seeing his children again. Cooper and Dr. 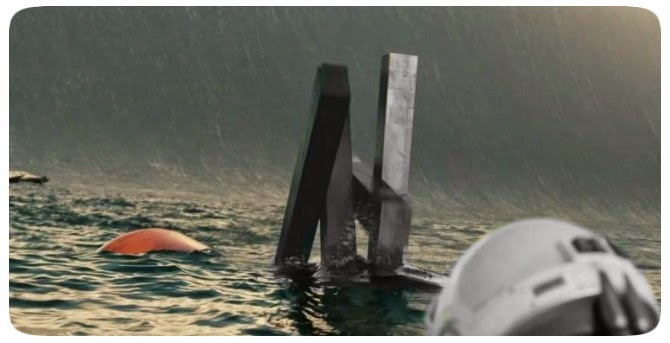 Brand decide to send Tars the robot into the black hole to transmit data that could help the people on earth figure out the calculation needed to leave earth. Supposedly, the only way to figure out the equation is to gather data on gravity from a black hole. Ok, just go with it. It's a particularly desperate move anyway because as most people know, even "light" itself cannot escape from a black hole, so I doubt sound waves or other forms of transmission could escape either, but it's worth a try to save the human race. What I didn't understand was why Cooper decides to take a portion of the ship and jump into the black hole too? I didn't understand this part, unless it was just for plot development. 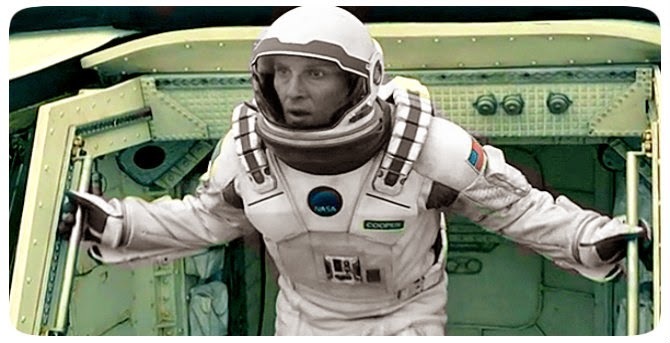 If Tars is already going into the black hole, then why would Cooper break away and go into the black hole? Who knows? But it's convenient and unlikely that Cooper falls into the black hole and isn't immediately crushed to death from the immense gravity. Cooper is pulled into a "tesseract," or a fifth dimension, and the singing group is no where to be found, but the "alien" beings are. It's akin to what Dave got pulled into in '2001,' but less spacey. In the fifth dimension Cooper appears behind his daughter's bookshelf. Cooper was the "ghost" communicating with his daughter years earlier. Time is relative here. The alien beings (who are future humans) exist outside of space and time. Similar to '2001,' they are lifeforms that have evolved past the three dimensions. Had the "aliens" interacted with Cooper in a different manner it wouldn't have been as bizarre. If they can survive black holes, then why couldn't they communicated with Cooper while he was safely aboard his ship? This leads me to my earlier point--time traveling through a black hole is just so cliched and kooky. It's about saving the human race. Whilst in the black hole somehow Cooper is able to relay the equation to Murphy. As soon as he does so he ends up floating in space near Saturn 50 or 60 years later. Luckily for Cooper, humans are orbiting Saturn and getting ready to jump into the wormhole. They also conveniently find Cooper minutes away from death. Cooper is reunited with his daughter, now in her 80s and near death (Ellen Burstyn). Cooper never asks about poor Tom, and he spends like 30 seconds with his daughter, who tells him that she doesn't want him to watch her die. She encourages him to fly off to meet Amelia at the other planet. The end. 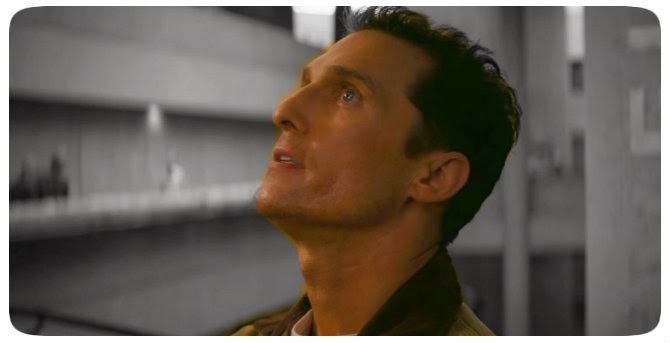 Overall, I really enjoyed the first half of 'Interstellar,' I thought Nolan set up the first half of the film very nicely, even with the crazy "blight" stuff. 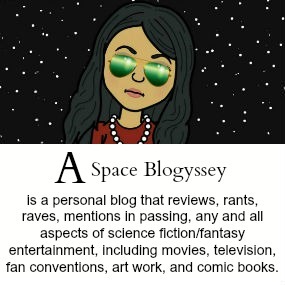 I also enjoyed some of the spacey and metaphysical bits. 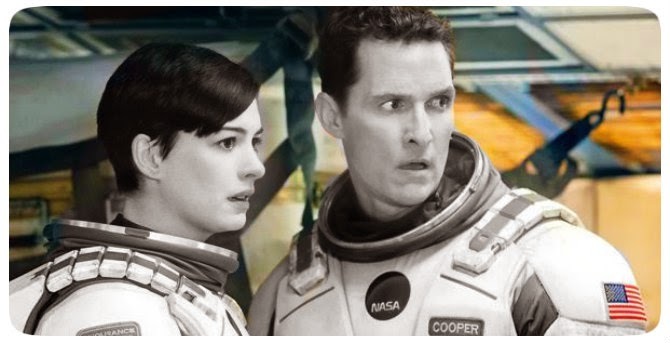 The philosophical aspects of 'Interstellar' didn't bother me like it bothered other people. 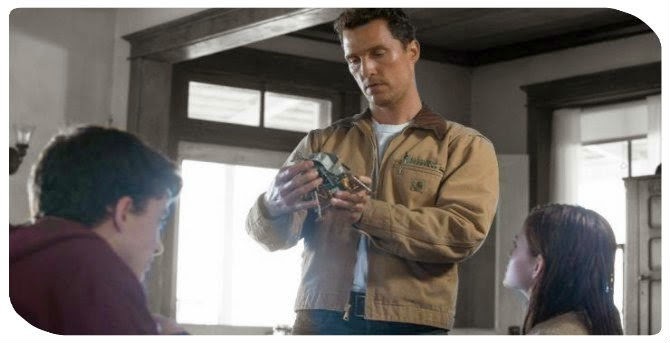 I actually like spiritual scifi films, so I'm not quite sure where 'Interstellar' went wrong or if it did go wrong? Maybe it's one of those films I just need to see it again? 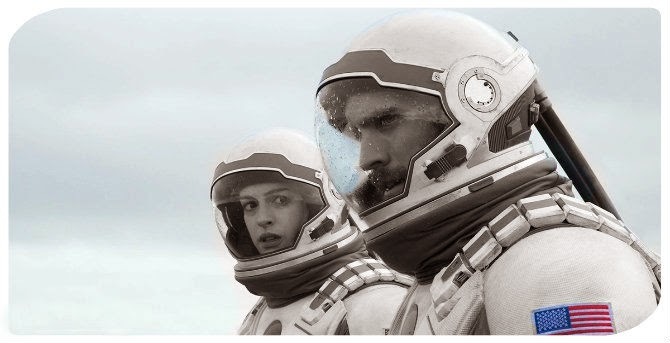 I guess my problem with 'Interstellar' is that it over explains in some areas, and doesn't explain enough in others. It also takes a few predictable turns. 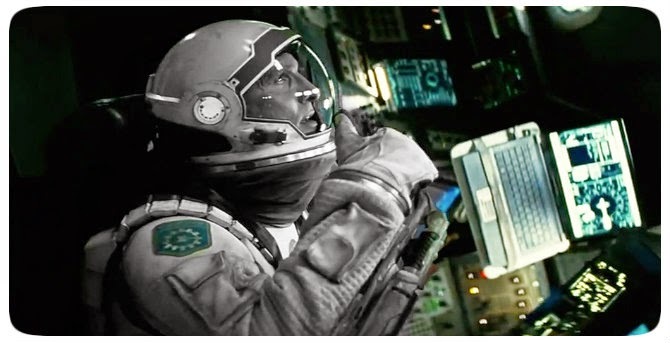 Yes, we get it space travel is dangerous, but did Nolan have to predictably kill off the only other characters of the shuttle crew who were NOT McConaughey and Hathaway? than any human in history. 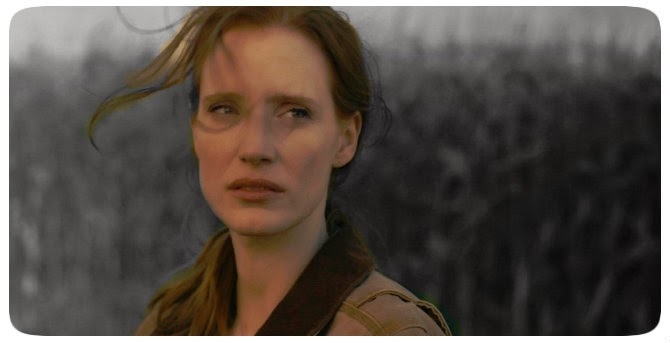 There are also some serious audio problems in 'Interstellar.' Or was there? According to Nolan, this was done purposefully? This makes no sense to me. If Nolan wanted the dialogue to be ambiguous, he could have done that with actual dialogue, not with most of the audience vocalizing a simultaneous "huh?" There was one scene with Michael Cain and Jessica Chastain that was completely inaudible. I've seen countless Cain films and I've seen all of Nolan's films, most of which include Cain. I've never had a hard time understanding Cain's thick Cockney accent...until now. To figure all this out with theory. Another problem with the movie is the music. I personally like Hans Zimmer's minimalistic musical style, which has worked well in the 'Batman trilogy and 'Incpetion,' but it doesn't work so well here. 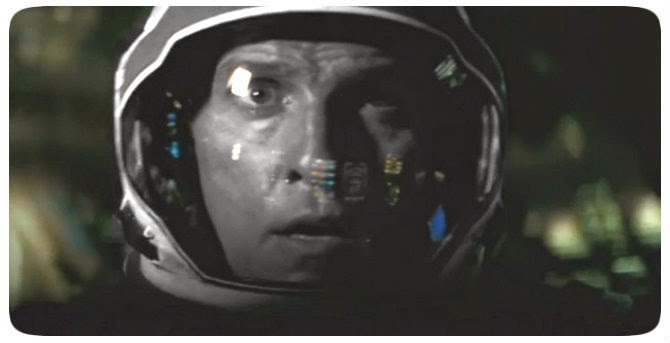 Zimmer was clearly giving a nod to '2001: A Space Odyssey," which was cool. There is an "churchy/organ" chord played throughout the film. Again, it's a cool homage to '2001,' but it should have been coupled with more. The brilliant thing about '2001' was that it was ambiguous. Kubrick never bothered to explain anything to the audience, but he still followed the science meticulously. This fits in well with Kubrick's style, as Kubrick was a visual director. He told stories visually and wanted to provoke an emotion from the viewer. It's the reason that '2001' felt very spiritual to me, even though it was written by a staunch atheist (Arthur C. Clark). 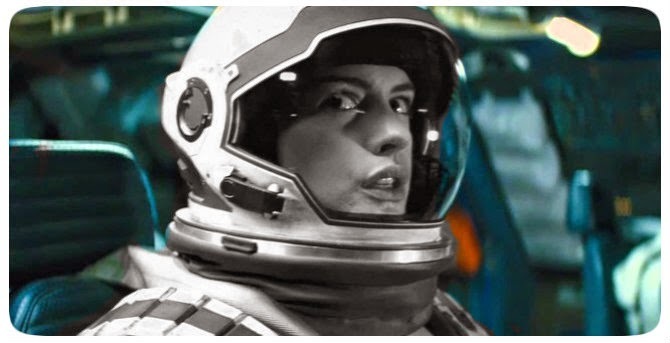 'Interstellar' tried to be both a Kubrickian film and a "hard scifi" film. There's also a bit of confusion between hard and soft scifi. For those unfamiliar with the terms: "soft scifi" refers to science fiction stories that lack scientific focus. Think 'Battlestar Galactica' and 'The Walking Dead.' 'Battlestar Galactica' is set in a scifi world, but the show's focus is not science fiction. They never explain how the "FTL" (faster than light) drives work, nor do they need to. The scifi world is merely a backdrop to the story. "Hard scifi" is the opposite. 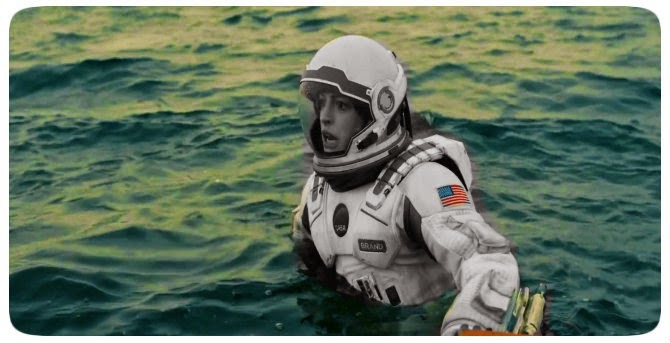 'Interstellar' is somewhere in between. 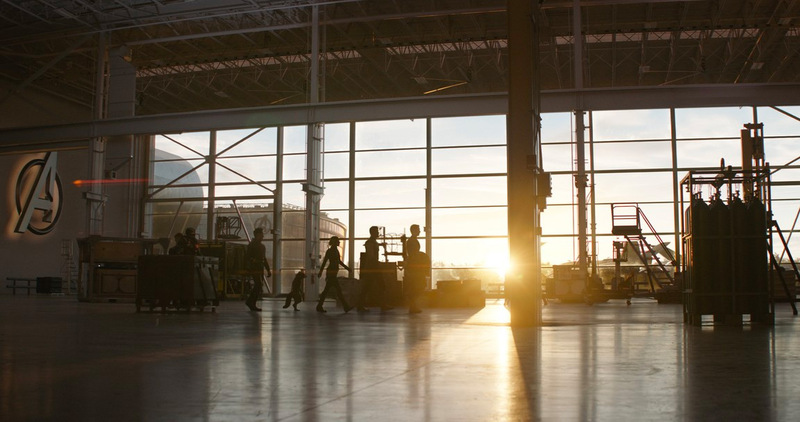 It tries very hard to be a hard scifi film, but it gets a little lost along the way. The last to survive on earth. 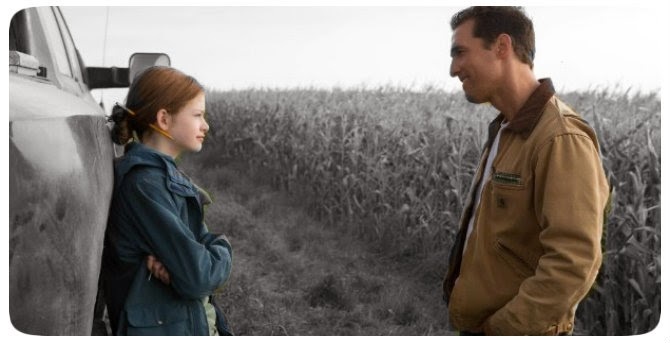 Ultimately, 'Interstellar' is a love story between a father and his children, but it doesn't find the right balance between the scifi, the philosophical, and the love story. That's my main issue with 'Interstellar,' it's a good film, but I kept saying to myself...it could have been so much more. 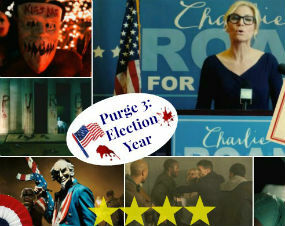 Overall, I recommend seeing it in theater. 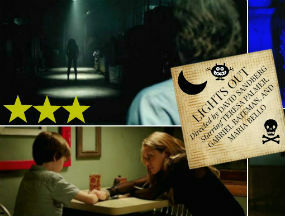 It's a beautiful thought-provoking film, with an intriguing story, fine acting, and good special effects. It's just not what I had hoped it would be, but it certainly had an awesome trailer! 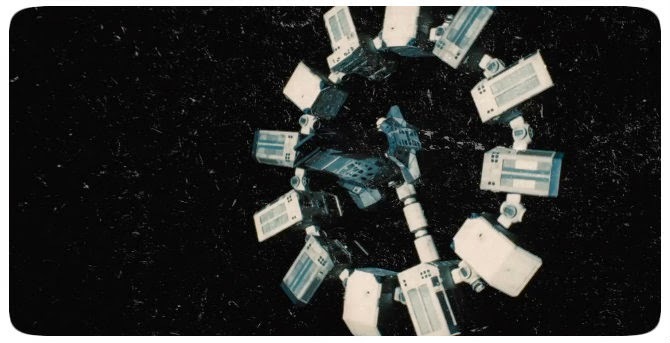 I thought that Cooper's ship went into the black hole at the end not by choice, but because he jettisoned his craft as the 'dead weight' that would prevent Hathaway from reaching the other planet. I think there was just so much trying to fit into this film, especially considering the years it covered, but we didn't want it any longer. Yes, I thought it was a good film. It might be one of those films I need to see again to appreciate. I must have missed that bit about him jettisoning himself b/c of dead weight. I wasn't sure why he did that? Oh thank you Katy! Yes, I still don't understand why he went into the blackhole? I'm so confused by that part. I will have to watch it again. 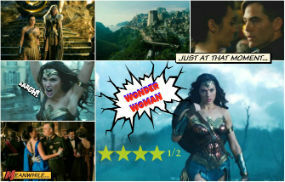 I liked the film too. I just had an issue with the blackhole/bookcase scene. That scene almost ruined the movie for me. I had to skip most of this review since I haven't seen the movie but I've heard a lot of people are disappointed with it. I'm hoping that it's because people are more familiar with his later work like Batman and not his early work like Memento. That said, the sound choices he made show that he's still an uncompromising director. Hmmm, I don't really know if he made those choices purposefully or if he's saying that now? I really do feel like I have to see this movie again. I think we're pretty much in agreement here. There are so many things Nolan wants to do w/ the film but it's simply too much to contain into a single film. My head's spinning as fast as that rotating spaceship, that whole bookcase/tesseract scene and the scenes w/ Damon are discombobulating to say the least! Oh yes, I agree. Great points. It's either too long or too short, right? Too long as a stand-alone film with great idea, but too short to contain all the ideas Nolan wants to convey. Yet, I personally like how Nolan comes out his comfort zone with some sentimental subplots inside. Thank you! 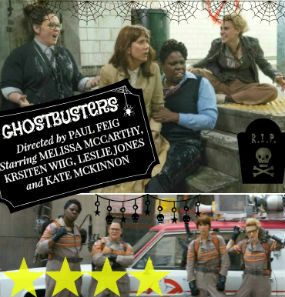 I did like the film, but there were some serious problems. 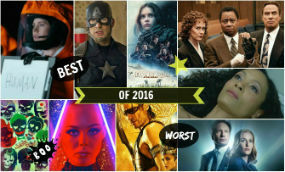 I do like that Nolan tried to make a unique film...according to hollywood standards.